Here we are knocking on the door of another new year. Time seems to go by so quickly these days, a resource none of us have an infinite supply of, so it makes sense to cherish what we do have and try to make a difference to our days (no matter how big or small) be kind to one another and listen to as much music as possible! It’s fair to say 2016 has been a crazy year; so many music legends leaving us for the big gig in the Sky, and the political chasm for us here in the UK and our cousins across the pond. The ongoing atrocities Syria continue to fill us with dismay and sadness. Yet still, even amongst this turmoil and head spinning, we have worked hard to push on and experience one of our biggest years to date. We still have a long road ahead of us but let’s discuss the highlights and let’s focus on the brightness, the energy and positive change that music can bring. We would like to thank you for your support throughout 2016. We’ve undertaken more fundraising campaigns and as a result, we’ve been able to provide financial support to more projects and help more bands and musicians this year. We’ve also started to build bridges with organisations who we think do amazing work and we would like to strengthen these relationships going forward into 2017 and beyond. So let’s have a little reflective walk through 2016 and in somewhat chronological order. Ontrack at The Roundhouse – we were delighted to announce our support of the Roundhouse OnTrack programme 2016. Through our fundraising campaigns over the previous year, we were able to allocate £10,000 for the program. Garageland Music in Canada – we supported the fine folks over in Hamilton, Canada who are committed to teaching everyone who wants to learn music, irrespective of their income, and to helping local musicians find well-paid jobs. Classes are a combination of private and band lessons held by local and visiting musicians. Stone Flowers – with your help we managed to raise just shy of £1,800. The Stone Flowers is a joint music project between Freedom from Torture North West and Music Action International (previously known as Musicians Without Borders), a local-based international music charity supporting men and women who have been subjected to and witnessed torture and organised violence and atrocities that most people find hard to conceive. 40 Years of Punbk Party-val – we put on a gig in South London featuring some great new bands and managed to raise £777 which went towards the Joe Strummer Foundation main fund. Glastonbury – we returned to the fields (the mud) of Pilton Farm for another year of music, campfires, tales, song and laughter. It was a fantastic festival (even if the rain tried to dampen our spirits). This festival, amongst all the others, feels like Joe’s spiritual home and we cherish every event. StrummerJam – we presented to the world an ambitious fundraising initiative. A month long event (August) where independent event organisers, bands, venue owners and fans of music could organise a fundraising event. They would nominate a local music none profit as the beneficiary of their event, or they could nominate The Joe Strummer Foundation. In total there was £7,721.48 raised by 172 bands in 6 countries across 3 continents and in 22 cities. Each event was independently organised to help support their local music non-profits and keep Joe’s flame burning bright in 2016! #FIGHTBACK – we were proud supporters of FightBack a one-off evening of music organised by Music Venues Trust following a seemingly never-ending tsunami of stories about venues across the UK coming under threat or closing down. We’ll have more news on this to announce early on in 2017, the fights not over. Stay tuned! Changing Tunes – we were very happy to help Changing Tunes, who are a registered charity that uses music teaching, rehearsing, recording, performance, improvisation and composition to aid the rehabilitation of prisoners and ex-prisoners. 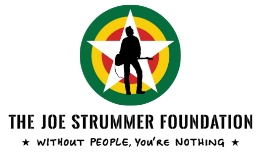 We awarded £5,000 from Joe Strummer Foundation main fund to support their work and we certainly hope to continue supporting their fine work over the years to come. Strummerville A Go-Go #003 – in support of Oxfam America’s Crisis in Syria appeal we announced on 10th November a collaborative fundraising album Strummerville A Go-Go #003. 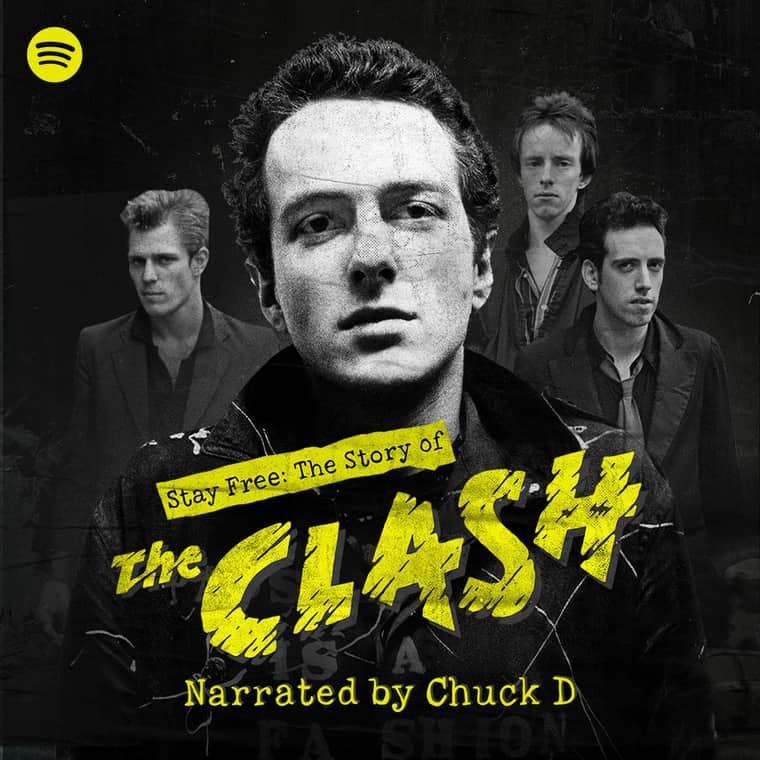 The digital-only album features 19 tracks donated by independent artists to The Joe Strummer Foundation. So far we have raised just under £1,000 – you can still support the appeal by donating here. Choir With No Name – When we first found out about the Choir With No Name we knew we just had to do a collaboration with them! CWNN runs choirs in the UK for people affected by homelessness or who are otherwise marginalised. They sing uplifting pop songs, rehearse weekly with a healthy, hot meal afterwards, and perform at a huge variety of places. So far we have help raise £500, donations are still open – and you can donate here. And to wrap up the year we’ve been running our own little event called Strummer Shebeen held in South London. We’ve staged 3 Shebeens over the course of December, they’re mini Joe Strummer exhibitions of exclusive and original installation featuring unseen gems from Joe’s archive by artist/curator Robert Gordon McHarg III, live music, art, spoken word and discussions. And on top of all this we’ve had fantastic support from folks organising fundraising events, gigs, running marathons, benefit concerts and generally showing good will all around. Sure, there’s been a lot of turmoil and unrest in 2016 that’s undeniable, but what is also undeniable is all the positivity that’s in this world. And that positivity is what we want to keep a focus on and we certinaly hope you do too. 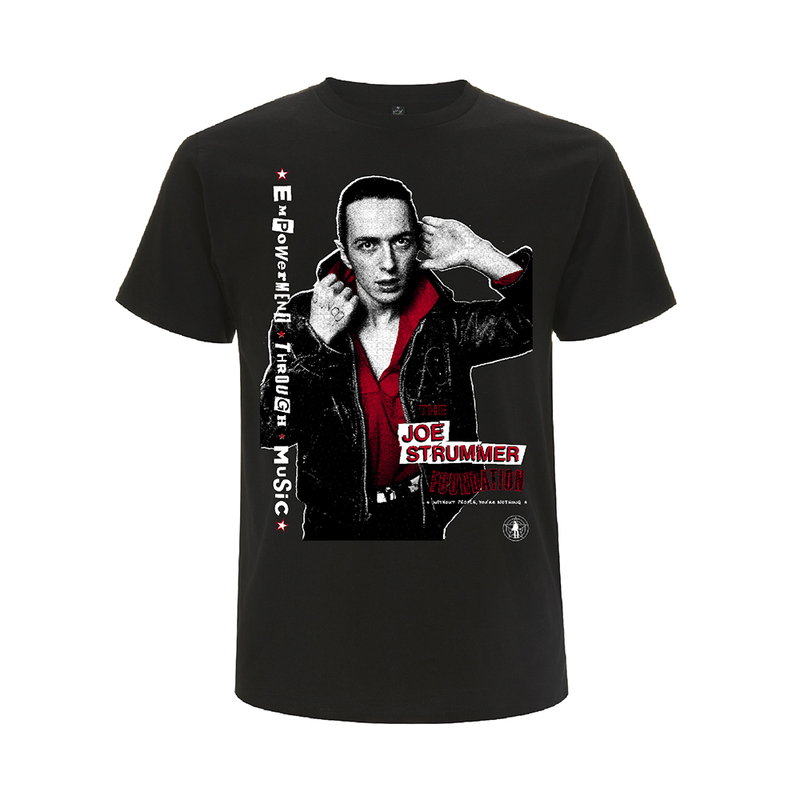 As we approach another anniversay of Joe’s passing we know this for certain, he is missed more and more each each year. We miss his words, his wisdom, his music and his humour and as an organisation created to honour his name and spirit, we will endevour to carry his ideals & principles forward into 2017. 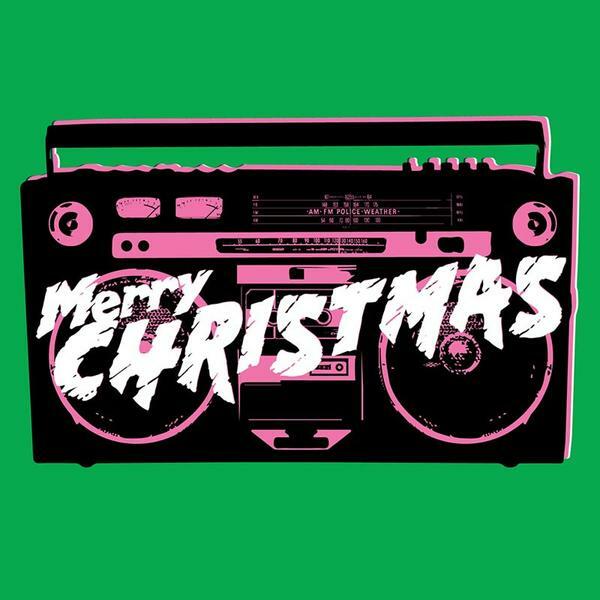 Wishing you all a wonderful time with your friends, family and loved ones this season.